Have you heard of a Poogle? Some people may also call them a Beaglepoo, Beagledoodle, or even a Beapoo. This friendly pup is a newer breed of dog that combines the intelligence of a Poodle with the curiosity of a Beagle. With their soft fur and big, dark eyes you’ll soon fall in love with Poogles. A Poogle might be perfect for your family, but there are a few things you should consider before adopting. More than a just another mutt, Poogles of the first generation have a Beagle parent and a miniature (sometimes toy) Poodle parent. This hybrid was introduced in the United States in the 1980s and continues to grow in popularity. A Poogle may be perfect for you if you’re looking for a small, low-shedding, fun, intelligent family dog. There is some controversy over whether these new breeds are really just “mutts” being sold for a higher price. The term mixed-breed or mutt implies a combination of many different breeds and crossbreeds, making the results very unpredictable. Designer dogs are created from a mating of two purebreds. Their offspring have predictable traits that are some combination of those seen in the parents. A favorable aspect of so-called designer dogs is that the weaker traits of each breed involved are less likely to occur in the offspring. The mixing of two gene pools allows for more hybrid vigor. There is no guarantee that health problems of the parents won’t be passed to the pups, but it’s less likely when you’re mixing unrelated breeds. The bottom line is that whether you call them designer dogs or hybrids, the Poogle dog combines the genetics of two breeds. All dog breeds started this way! Poodles come in a variety of sizes. Miniature Poodles are generally used in breeding programs for producing Poogles. Miniature Poodles stand 10–15 inches tall at the shoulder and weigh 10–15 pounds. They are part of the American Kennel Club (AKC) Non-Sporting Group. Poodles originated in Germany and were used as retrieving water dogs. A Poodle should be well-proportioned and squarely built. They have dark, oval eyes and an intelligent expression. Many describe them as elegant dogs. The Poodle’s coat may be his most distinguishing characteristic. It’s curly and dense and is usually worn brushed out into a fluff of softness. Show dogs are often groomed in elaborate patterns to enhance their beauty. Coat colors found in this breed range from black to apricot, cafe-au-lait to white. The only color that’s disqualified in the breed standard is parti-color, meaning a coat with spots of two or more colors. The Poodle’s constantly growing, thick coat requires daily brushing to look it’s best. Bathing and clipping of the coat need to be done about every four to six weeks. When it comes to personality, Poodles are famous for their keen intelligence and capacity for learning. These traits along with good looks make it a favorite circus and show dog. Miniature Poodles have a moderate energy level and many love swimming and retrieving. The Beagle breed was first recognized in England in 1885. They were the result of breeding smaller hunting hounds used to track rabbits by scent. Arriving in America by the 1840s, the AKC accepted Beagles as a member of the hound group in 1885. The breed has been a perennial favorite in the USA, surpassing its popularity even in their origin country of England. In 2017, the AKC listed Beagles as sixth in overall breed popularity. The breed standard for Beagles describes them as small- to medium-sized dogs, weighing in at under 30 pounds. They range in height from under 13 inches up to 15 inches at the shoulder. Their coat is of medium length by hound standards, although most consider them to be a short-haired breed. Beagles can be any “true hound color” by the breed standard. In practical terms, there are two color patterns. Tri-color Beagles have white, black, and brown coats. The two-color varieties have white as the base color with a wide range of secondary colors from dark brown to a very light tan. The personality of Beagles is one of merriment and curiosity. Bred for hunting, they thrive on exercise but are still easy-going enough to make a perfect family dog. They are intelligent animals with an excellent sense of smell. They may become distracted by their single-minded focus on scent tracking. A Beagle Poodle mix, Poogles combine the characteristics of both parents. They are usually about 10–15 inches tall and weigh 20–30 pounds. Poogles may have medium to long hair that may be straight or curly. Poogles come in just about every imaginable color. Some Poogle puppies have white spots while others are solid in color. Black and tan, red, blonde, apricot – the sky is the limit with coat color in this breed! Most importantly, a Poogle puppy can have characteristics of either parent, or even a mix of the two. 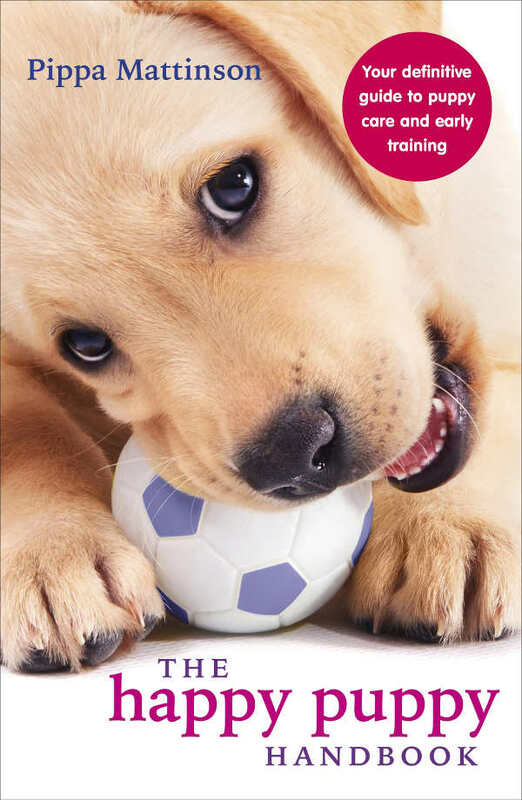 Poogle dogs are intelligent and friendly, making them perfect for families. They have a moderate to high energy level. 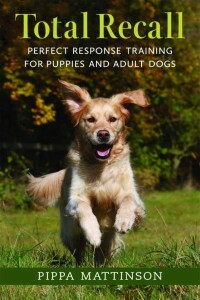 Plan on providing some form of exercise for your Poogle on a daily basis for at least 30 minutes. The Poogle’s easy-going nature helps them get on well with kids and other dogs. The hunting instincts of the Beagle may be expressed by chasing smaller household pets, but they seem to get along well with everyone when properly socialized. Although not known for excessive barking, this breed can make a fine watchdog. As with physical characteristics, a Poogle can be a mix of the two parents or take after one more than the other. 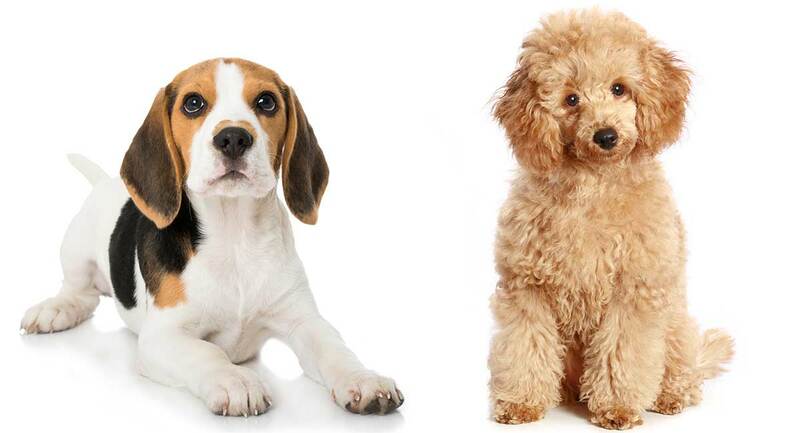 Grooming requirements for Beagle Poodle mix puppies depend on the coat they inherit. Dogs with longer coats will need daily brushing, while dogs with a medium coat may only need a touch-up every couple of weeks. Close clipping long-coated dogs will minimize grooming time. One appealing quality Poogles get from their Poodle parent is their low-shedding coat. Poodles have long been hailed as hypoallergenic dogs, since their hair grows for a longer time and is shed less frequently. People with dog allergies may be able to tolerate a Poogle in the home better than some other breeds. However, this will depend on which parent the Poogle takes after. All Poogles need daily toothbrushing and monthly nail trimming to maintain long-term good health. Poogles are active dogs who need regular exercise. With his intelligent and curious nature, your Poogle will appreciate mental as well as physical exercise. This breed may not be ideal for folks who need to be away from home for 8–10 hours a day. If you can make time for a daily walk and some puzzle games, your Poogle will thrive. Poogles may be affected by diseases common to its parent breeds. According to the Poodle Club of America, diseases affecting Poodles include hyperadrenocorticism, eye diseases, epilepsy, hypothyroidism, and patellar luxation. The National Beagle Club of America reports Beagles to have a predilection for eye disorders, hypothyroidism, epilepsy, and luxating patellas. Many of the diseases to which Beagles are prone overlap with the Poodle’s list. Combining the lists from each breed, Poogles might be prone to having eye disorders, luxating patellas, epilepsy, hyperadrenocorticism, and hypothyroidism. Poogle breeders can do screening tests on the puppy’s parents for many of these diseases. 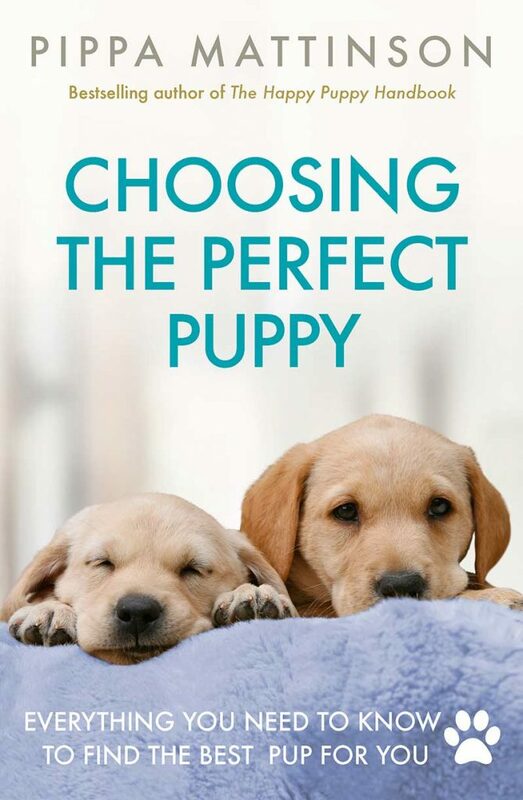 Be sure to ask about testing history before you decide on buying a pup from any breeder. The Poogle breed is recognized by the Designer Breed Registry and the American Canine Hybrid Club. They don’t have their own breed club at this time. You may be able to find Poogle puppies in a web search, but be careful buying from breeders who are far away from where you live. Shipping young puppies can be very stressful for them. Plus, you’ll want to check out the parents of the pup and the breeder’s facility more than once before committing to buying a pup. Watch your local newspaper’s classified ad section for a Beagle Poodle puppy. You may be able to find local Poogle breeders online. Once you’ve found a breeder, ask if the parents have been health tested. Many breeders vaccinate puppies themselves. If they give an improperly stored vaccine or if the timing is off, these shots might not be effective at preventing deadly diseases like parvo and distemper. It’s always a good idea to ask if the puppy has been examined, dewormed, and vaccinated by a veterinarian. This will help screen out pups who have a major congenital problem or those who are not adequately protected from common infectious diseases. The breeder should be able to show you records from the vet visit. Do you have your eye on a Poogle? Tell us what you like about the designer dog in the comments below! The National Beagle Club of America, Inc.
Greco, D. Cushing Disease (Hyperadrenocorticism), Merck Veterinary Manual, 2016. Barnett, KC. Two forms of hereditary and progressive retinal atrophy in the dog. I. The miniature poodle. II. 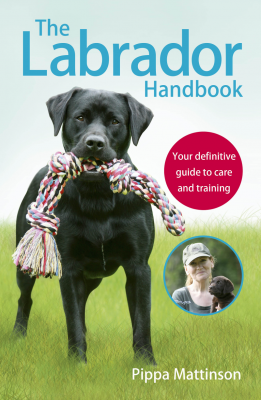 The Labrador retriever. J Am Anim Hosp Assoc. ,1965. The Blue Book, Genetics Committee of the American College of Veterinary Ophthalmologists, 2015. Alam MR, et al. Frequency and distribution of patellar luxation in dogs. 134 cases (2000 to 2005). Vet Comp Orthop Traumatol. 2007.